When you’re in need of a new roof, turn to the company with over 20 years of experience serving the area’s residents. Specializing in a variety of styles and options, we will work hard to ensure that you are completely satisfied with the finished results. You have many choices when it comes to roofing. 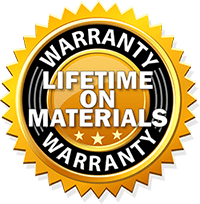 No matter whether you like the dimensional look of architectural shingles and the durability with the lifetime warranty of our shingles, we can deliver. Your roof is a large investment, and the experts at Eastbrook Construction help you walk through the whole process. In addition, we offer an extensive list of professional roofing services. From repairs to restorations, we can help you get the roof you always wanted. Eastbrook Construction can help you decide what shingle is best for your roof. Also, we can help planning your budget and advising you on exactly what you need. Also the time frame it might take to make it happen. As an insured and certified roofing contractor, we can provide you with everything you need to install or repair your roof. Also, we service all of Howell and Brighton and the surrounding areas. So contact us today to request a FREE no-hassle quote for your roofing needs. Contact us for roof repair or for new roof construction. If your roof has been damaged by storms or ice, allow us to offer you a quote on restoration services. Furthermore, we have been offering professional roofing services to the Brighton area for over 20 years. Also, we can repair any roof and features such as skylights and chimneys. Give us a call today and find out what Eastbrook can do for you! At Eastbrook Construction, we are fully licensed and insured contractors. Also, our work comes with a 10 year guarantee on labor as well as a lifetime warranty on all materials. About our 10 year labor guarantee; Wind damage? Roof leak? It doesn’t happen often after we install your new roof, but if it does, we fix it! Ask us for details. Our business is built on our reputation and most of it comes from customer referrals. Let us prove it to you!